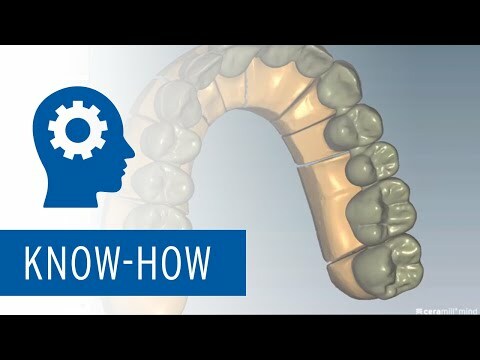 Particular attention should be paid to the very specific differences in the anatomical shape – such as the design and curvature of the three labial surfaces (cervical region, central body region and incisal surface). Special consideration should be given to the contour of the incisal edge, which has a more pronounced convexity in adolescents. Finishing of details such as surface texture and morphology – e.g. : visible incremental lines etc. Such fine details can be incorporated using special, coarse diamonds or angular tungsten carbide cutters. Various methods can be used for controlling the customised glaze: it is recommended to optimise the surface (shape and texture) before glaze firing (e.g. 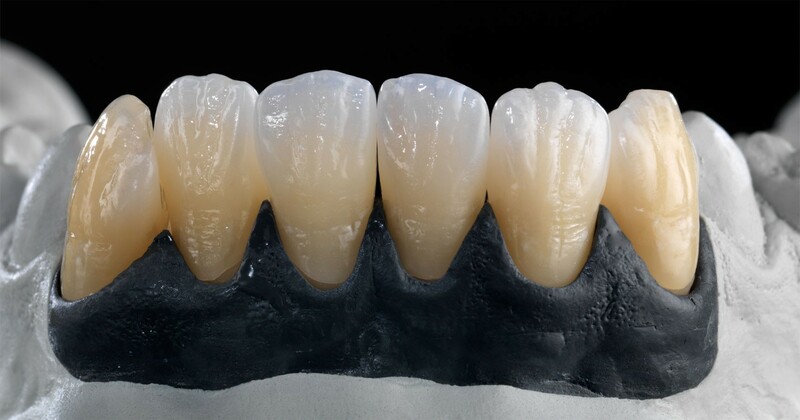 : convex regions, cervical regions) using appropriate silicone rubber polishers. Glaze porcelain can also be applied to specific areas. The level of glaze is achieved by setting the firing programme (temperature, hold time), depending on the application. The customised, final touch is produced by manual finishing using polishing pastes, silicone rubber polishers and/or pumice. This should be taken into consideration during the internal build-up of the porcelain layering using appropriate shades and special effects.